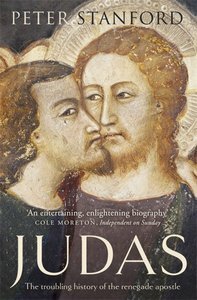 In this fascinating historical and cultural biography, writer and broadcaster Peter Stanford deconstructs that most vilified of Bible characters: Judas Iscariot, who famously betrayed Jesus with a kiss. Beginning with the gospel accounts, Peter explores two thousand years of cultural and theological history to investigate how the very name Judas came to be synonymous with betrayal and, ultimately, human evil. But as Peter points out, there has long been a counter-current of thought that suggests that Judas might in fact have been victim of a terrible injustice: central to Jesus' mission was his death and resurrection, and for there to have been a death, there had to be a betrayal. This thankless role fell to Judas; should we in fact be grateful to him for his role in the divine drama of salvation? 'You'll have to decide,' as Bob Dylan sang in the sixties, 'Whether Judas Iscariot had God on his side'. An essential but doomed character in the Passion narrative, and thus the entire story of Christianity, Judas and the betrayal he symbolises continue to play out in much larger cultural histories, speaking as he does to our deepest fears about friendship, betrayal and the problem of evil. Judas: the ultimate traitor, or the ultimate scapegoat? This is a compelling portrait of Christianity's most troubling and mysterious character. Peter Stanford is a full-time freelance writer and broadcaster. He is a regular contributor to the Independent on Sunday, Independent, Observer and the Daily Mail and has written many books on Catholicism. He has presented and produced award-winning radio and television programmes and series, including three adaptations of his own books and was the Editor of the Catholic Herald.